What Factors Will My Judge Consider In My Missouri Child Custody Case? One of the most difficult decisions a trial judge can be faced with is deciding a custody arrangement that is best for a child. 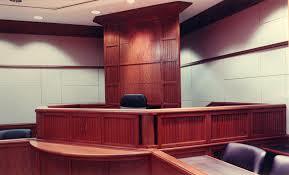 A good trial judge will closely scrutinize the evidence and evaluate each relevant factor in making her decision. In Missouri, those factors the Judge must consider are outlined in our Missouri statutes. Your Judge has broad discretion in her ultimate decision on issues affecting the custody of your child. It is important for the parents to realize that in the exercise of her discretion the first and foremost consideration is what is in the best interest of your child. The best interest of the parents is only a secondary consideration. 1. The wishes of the parents. While this factor is not always determinative, if the parents of the child agree on the custody arrangements the Court will typically be very reluctant to interfere. If the parents are not in agreement, the Court should consider each parent’s wishes in light of the other factors. 2. The needs of the child to have frequent, continuing and meaningful relationships with both parents and the parents’ ability and willingness to perform their duties as the child’s mother and father. Your Judge is mandated to establish a custody plan where each parent can maintain frequent contact with their child, unless the interests of the health and safety of the child or the other factors, detailed herein, should dictate otherwise. 3. The relationship between the child and parents and siblings. What is the status of the child’s relationship with his parent? If the relationship between the child and a particular parent is a strong and healthy one this would favor more frequent contact in consideration of the other factors. The Judge will also consider the child’s ability to have contact with other siblings in light of the strength of the relationship he has with his siblings. 4. Which parent is more likely to allow frequent and meaningful contact with the child and the other parent. If the Judge finds that one parent is more likely than the other to take steps to interfere with the relationship between the child and the other parent the interfering parent may find that his or her custodial rights are limited. This conduct does not have to be exclusively in the form of physically preventing a child from seeing the other parent. For example when one parent has a shown a pattern of making disparaging comments about the other parent to the child thus influencing the child’s willingness to have contact with the opposite parent or when a parent interferes with the telephone contact between child and the parent, it is not uncommon for a judge to find that the offending party is less likely than the other to allow “frequent and meaningful contact”. The result of this can be a more favorable custody plan for the non-offending parent. 5. How the child is doing at home and in his current community. Your Judge will consider how stable and well-adjusted your child is in his present home and community and how a significant change, if requested, may impact him. 6. The mental and physical health of all parties and the child. Your Judge will consider if there are health concerns relative to either parent or the child which may make a particular custody award more desirable for the child’s best interests. 7. The intention of either parent to move with the child before or after the Judgment is entered. If one parent will be planning on relocating with the child, that will be evaluated in light of the other seven factors. 8. The wishes of the child. 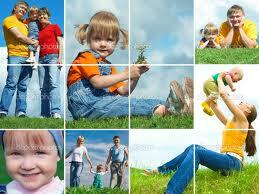 There is no magic age where the wishes of the child become determinative as to the outcome of a custody award. It is but one factor. How much weight your judge gives this factor, relative to the others, will most likely be dependent upon the age and maturity of the child. When an agreement cannot be reached, between the parents, as to the details of a custody plan, your family court judge will enter an order and judgment of custody which considers these factors in light of the best interest of your child. If you are a loved one is involved in a matter to determine the custody of a child, it is important that you consult with an experienced Missouri custody lawyer who can evaluate your situation in light of these factors and can guide you through the process.